Ready to reach your audience at the most optimal time? 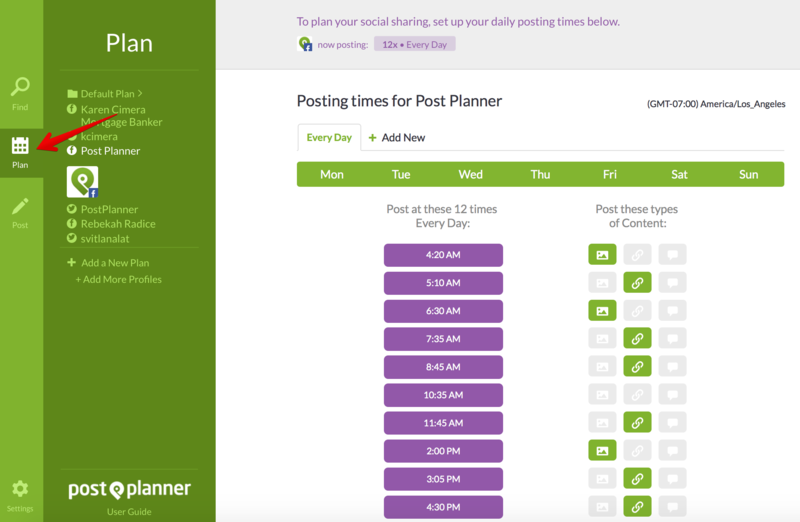 You can do that by creating the perfect customized scheduling plan right inside Post Planner. Here’s a short video on how to do it. Take a peek, and if you still have questions after watching, make sure to scroll down for more instructions! 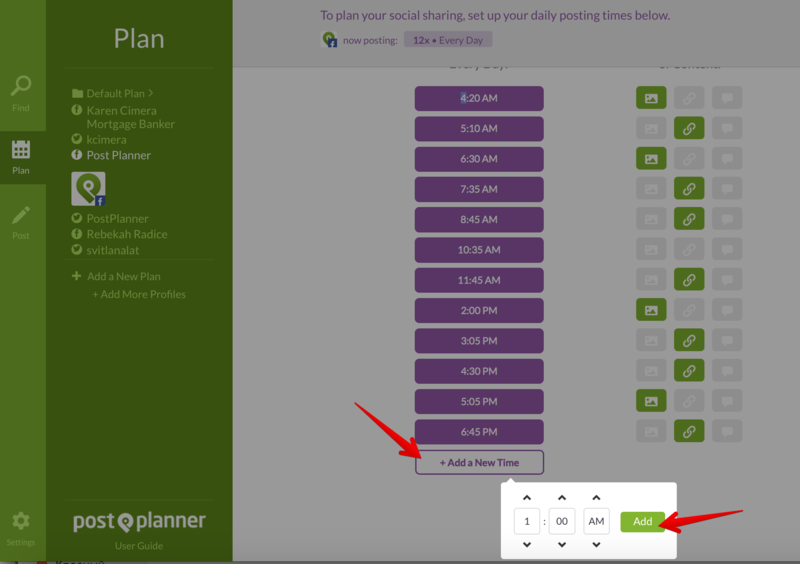 You can also create a whole new plan by clicking on “add a New Plan.” Now you start from scratch to create a custom schedule for any Page, Profile, or Group.